Known by the stage name Jay Rock, Johnny Reed McKinzie Jr is a U.S rapper, songwriter, and producer from Watts, California. A native of one of L.A’s most dangerous neighbourhoods, Jay choose to become a rapper over the life of crime, despite getting in and out of trouble a lot. He kicked off his music career fully in 2005 when Anthony Tiffith signed him to his label. Tiffith is the CEO and founder of the independent record label Top Dawg Entertainment (TDE). 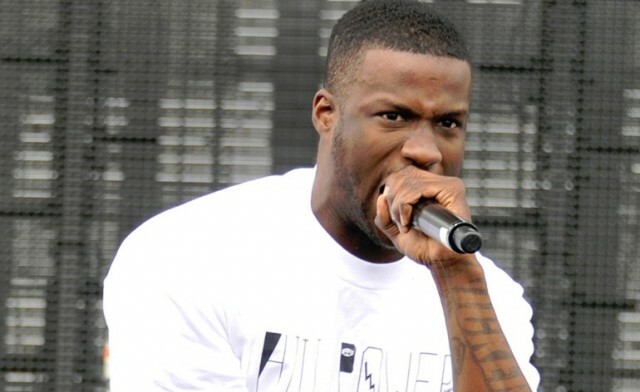 Learn more about Jay Rock and how he pulled through and survived the rough life in the hoods to become a famous U.S rapper. Jay Rock was born in Watts, Los Angeles, California, on March 31st, 1985, where he also grew up with his two siblings. He had always loved music from a very tender age. He was introduced to music and its varieties including pop and rap by his mom who always hosted parties in their home. Jay had popular rap stars like Notorious B.I.G and Shyne as his influencers and by the age of twelve, he could play the keyboard and was also writing poems. He attended Locke High School and was a member of the Bounty Hunter Bloods street gang. Jay was jailed twice in an attempt to rid the neighbourhood of gang-related and street crimes at the time. After his second release from jail, Anthony Tiffith, the founder and CEO of both the independent record label Top Dawg Entertainment (TDE) and the Rock signed him to his label after listening to a verse from his song. Rock released several mixtapes via the label and with TDE’s help, he landed a recording contract first with Asylum Records and later with Warner Bros whom he operated a joint venture deal with in 2007. In 2008, he dropped his commercial debut single “All My Life (In the Ghetto)”, which featured fellow rappers like will.i.am. and Lil Wayne. It was while at TDE that Jay Rock met the likes of Kendrick Lamar whom he embarked on tours with several times. The two founded a strong ally and would feature on each other’s records alongside other artists like ScHoolboy Q and Ab-Soul, they formed a supergroup named Black Hippy. After signing a joint venture deal with Strange Music in 2011, Jay Rock dropped his much-anticipated debut studio album Follow Me Home, produced by his cousin Nathan Maher Cashin. The album sold 5,300 copies in its first week and made it to the Billboard 200 at number 83. His second single “Hood Gone Love It” was featured in the character trailer for Franklin and in the in-game radio station Radio Los Santos. In 2012, he was on the BET’s Music Matters Tour with MMG artist Stalley and the rest of Black Hippy members. The following year, he performed “Money Trees”, with Lamar, at BET Hip Hop Awards. In September 2015, he dropped his second studio album “90059” which boasts singles Gumbo, Money Trees. In February 2016, Jay Rock was involved in a bike accident which left him with lots of broken bones, he went in for several surgeries and pulled through. He went back to the studio after making full recovery and his third studio album “Redemption” was released in 2018. Prior to the release of the album, Rock released a lead single “King’s Dead” featuring James Blake, Kendrick Lamar, and Future. He also released a second single “Win”. In 2014, Jay Rock was nominated for Album of the Year as a featured artist for on Kendrick Lamar’s good kid, m.A.A.d city at the 56th Annual Grammy Awards. So far, all of his three studio albums have achieved both commercial and relative critical successes. Jay Rock’s net worth is currently estimated at $4 million. His earnings are from his career as a rapper, singer, songwriter, and producer. More hits are expected from the rapper who is still active in his craft. Jay Rock is among the many celebrities who don’t bring their personal lives out in the public and he has done very well at doing that. At the moment, there is no information about his personal life – if he is married, engaged, have kids or dating anyone. He just chooses to keep his private life private. However, he was once linked to Kat Stacks but it was never confirmed if they were actually an item or not.